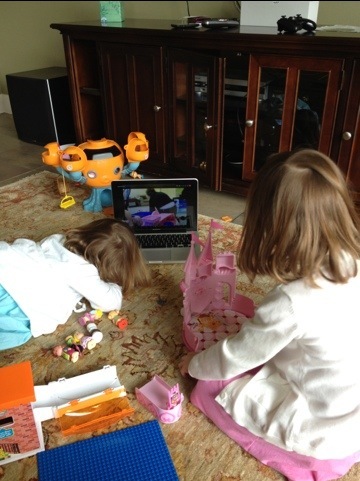 The wonders of technology – the girls had a playdate this morning with their friends back in Reading. It was brilliant and entirely normal for them, apparently! They spent an hour playing Lego, getting dressed up to do a play together and playing hide and seek (obviously with the help of Mums with laptops). Just brilliant. I now have very happy children, at last!